The word Pesach is both understood and not understood. Most people are familiar with the translation “Passover”, and are aware that it refers to God passing over the houses of the Jews during the plague of the first born in Egypt (see Exodus 12:13). Simply put, we are grateful to God for sparing us during that plague. But this explanation contains two glaring problems. First, God skipping over houses is quite contradictory to our understanding of Him. He can strike any houses He wants all at the exact same time. There is no sense to an Infinite Being “skipping” a house. He’s not Superman flying through the air. Second, the house-skipping incident is certainly not the most significant aspect of the exodus. Why name a holiday after one part of a single plague? What about the other nine? What about the leaving of slavery for freedom? What about the splitting of the Sea of Reeds? You would think the name of the holiday would be the most outstanding feature of the entire event. The answer to each question will elucidate on another. When God tells us to smear blood on the lintel in order for the house to be skipped, He was implying that the Jews in some way deserved to have the plague of the first-born affect them as well as the Egyptians. Incidentally, the mitzvah to redeem the first-born mentioned in Exodus 13:12 echoes the thought that God spared our first-born. It was God’s mercy that caused Him to skip the Jewish houses. God’s mercy also caused Him to skip over many years of the intended Egyptian exile. He originally told Abraham that his descendants would be enslaved 400 years. Yet the actual exile was shortened to 210 years. Another skip was the very night of the exodus. It was a mad rush to get out, expressed by the hasty skipping over the practicality of waiting for the dough to rise. Of course, God can have us jump through space or time whenever He desires to strengthen our relationship with Him. What does all this boil down to? When the word Pesach became the name of the holiday, a metaphysical fact was concretized regarding the week of Passover – a potential to jump in spiritual growth. The word “pesach” itself has a mystical jump within it. Pesach is formed with three letters: Peh, Samech, and Chet. 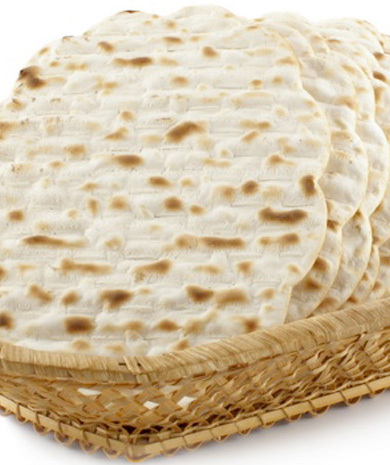 The kabbalists say pesach can be read as two words, revealing a deeper meaning. Peh – Sach which means “the mouth speaks. These two words are spelled with four letters: Peh, Heh, Samech, and Chet. Therefore, the Oral Tradition uncovers that the letter Heh was skipped over. Conceptually, the “mouth speaking is what happens during the seder when we retell the going out of Egypt. Haggadah means “speech. Kabbalah teaches that each month of the calendar has a strong link to a different human quality. This month, Nisan, is connected to the quality of speech. What is speech? It is bringing ideas into reality. From potential to actuality. Nisan is the month in which the world came into reality. It’s also the month when the Jewish people went from a nation in potential to actuality. This transformation from potential to actual required a supernatural jump provided by God. That’s the essence of Pesach. We all want more meaning. We’d like to have a transcendent experience. But it’s a struggle to work on spiritual growth. It’s hard. It requires change. During Pesach we have the rare opportunity of using God’s jumper cables. Take the opportunity that’s there and ask God to give you the boost you’ve been waiting for. May you be blessed with a happy and meaningful Pesach.